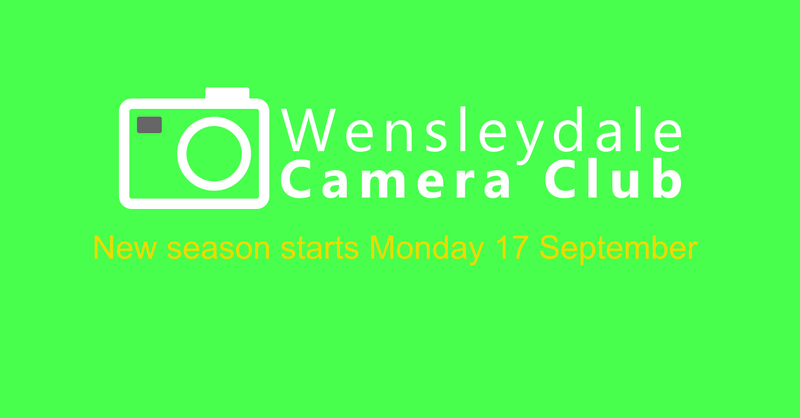 Join us upstairs at the Leyburn Bolton Arms for the start of the new season on Monday 17 September, 7.15pm for 7.30pm. The evening will begin with a review of the season ahead, followed by a Show & Tell review of what we’ve been doing over the summer. Bring along your images – good, bad and indifferent – and tell us what you’ve learned. The meeting also gives us an opportunity to catch up over a drink or two, and to welcome new members to the Club.